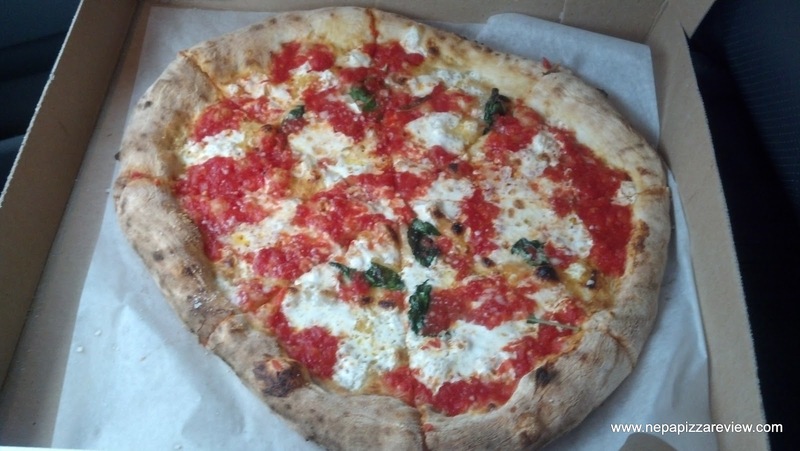 AmberDonia Bakery is a place that I hadn't heard of until 3 to 4 months ago when I started to hear rumors that a bakery in Scranton was building a wood fired oven and would soon be serving wood fired pizza. Several weeks ago the rumors became reality and AmberDonia fired up the ovens for good. Anytime a new pizza becomes available in the area, I have to try it and write about it for my readers so you could imagine my excitement when I heard they were officially making pizzas. Before I started the review, I decided to review this pizza a little bit differently because I found two other people who were very interested in trying this pizza as well. The three of us were all on different schedules for the day and did not have an opportunity to dine together, so we ordered three separate pizzas and picked them up at three separate times. Two of us (including myself) took the pizzas to go, and the other person dined in. This provided a very unique opportunity to thoroughly review the new pizza and get three different opinions on this brand new pie. NOTE: This location is now closed, but Amberdonia is open in Kingston and Wilkes-Barre. 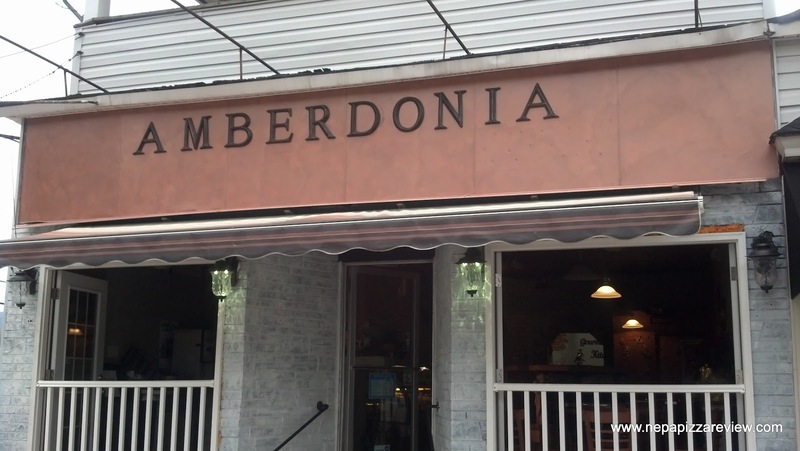 AmberDonia is located on Farr Street, just two blocks off of Main Avenue in West Scranton. It's in a neighborhood, so I found it to be an interesting location. The place is relatively small but clean, well decorated, and really gives you a European vibe. There is a large counter and several display cases showing off the vast selection of baked goods. I spotted a couple of tables where you can eat in, but I took my pizza to go. I noticed there is a small porch on the front, and I wondered if I could come back and have a nice table for two out front on a nice summer day. I wish I took a little more time to examine the baked good case, but unfortunately I was in a rush as usual and didn't take the time to get any specifics on what they offered. There is no menu yet at this point, as the person at the counter who I presumed to be the owner told me the menu is all in his head, which was kind of neat. He mentioned that most of his ingredients are imported from Italy, and that he is waiting to determine ingredient availability before developing a menu. Now, after picking up the pizza, I decided this was going to be a review on the run. Don't try this at home kids, save the eating and driving for the pros! When I opened the box, I noticed that the pizza didn't fill the 14 inch box all the way up, but with wood fired pizza and the flimsy dough that is used, a misshapen pizza is to be expected. I was very impressed with the color scheme of vibrant reds, bright whites, deep greens, and some browning. The smell of the imported cheeses was intoxicating and the whole thing was begging for me to chow down on it. I grabbed my first slice and took my first bite. The flavors were pretty intense. You could tell that the tomatoes were fresh and high end. They didn't need much seasoning at all because they did all the talking. The sauce was slightly chunky, but I would have liked a little more texture to it. The fresh basil and herbs were a perfect complement to the ripe tomatoes. Although I couldn't see it (while I was driving) I think I detected some sort of Romano or Parmesan cheese blended in to go with the fresh mozzarella cheese. The fresh mozzarella was good, although I would have liked it to be applied a little more liberally as it melted and dispersed so thinly that it was difficult to pick up the flavor. It also kind of muted the tomato flavors rather than adding to the flavor combination creating a lack of balance that I seek in a high end pizza. 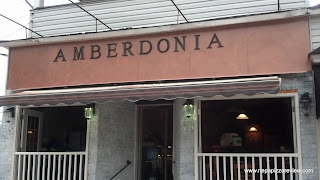 All in all though, I would say between the sauce and cheese, AmberDonia is using some of the finest quality ingredients in the area and I give kudos for that. Now, anyone who enjoys a good wood fired pizza knows that the crust is the best part when you add in that slight smokey wood fired flavor. Anyone who has made wood fired pizza knows that this is probably the most difficult pizza to make. You have to maintain the ovens constantly, which operate at a much higher temperature than gas. The higher temperature means that pizzas generally cook in less than five minutes. So pulling a pizza out 30 seconds too early or 30 seconds too late can really make a huge difference. In my case, I think the pizza was taken out too early, there was not much charring, which is what I need to see on this type of pizza. 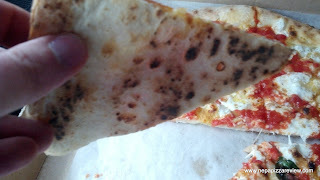 The underside of the pizza was very light, where I would have expected a nice deep brown. The dough did have some nice air pockets, but they were pretty uniform, and I would expect some unevenness throughout. I also found the dough to be quite chewy, where in my opinion a Margherita Pizza should be light and crispy. There was a slight crispness, but it was definitely more chewy than crispy. After reading the previous material, you might think that I wasn't the biggest fan of this pizza, when that really wasn't the case. I'm grading this small to medium size pizza at a price point of $10.95. For the record, I ate the entire thing, but I don't think two people would leave with full bellies if they split a pie. The high price point, all the buzz surrounding this pizza, and the category of pizza in which it resides caused me to hold this to a higher standard. Overall, I have to say, this is a very good pizza which is on the cusp of being great. The person who reviewed the pizza with me who dined in summed it up in a few words calling the pizza "good not great." The other person who reviewed the pizza said "It's really good. It has a great sauce, good cheese, which makes for a really good overall pizza for its category." He also expressed that he was surprised at how soft the dough was. I think the consensus was that we all thought that this pizza was somewhere between good and really good. It's definitely a great addition to the wood fired pizza category which we are sorely lacking here in NEPA. Personally, I will be back again to have another pizza with some toppings next time. I do recommend this pizza to my readers, and my one tip here is don't call ahead because the pizza takes literally no time to make. They are quick and courteous, so you might as well wait a few minutes for the pie as it's being made and pick up a tasty baked good or two while your at it! I would definitely revisit this place in 6 months if I were you. If they only started working with this wood fired oven a short time it's very likely that they just haven't perfected using it yet. It isn't quite as simple as getting a wood fired oven and then bam, great pizza. It takes time to get it perfect. This place sounds like it has real promise and when I'm in the area I'll have to check it out. Great review. John I definitely will go back and have this pizza again not only to see how it progresses but because I really enjoyed it. Wood fired pizza is no easy feat im sure and i dont pretend to be an expert on making this tyoe of pizza! It absolutely has promise! Thanks for the comments! Great review & nice find! I agree with John; it'll be interesting to see how (if) this pizza progresses. I'm sure it's wishful thinking on my part, but it almost seems like the baker is looking in the Neapolitan direction. Whatever the case may be, it looks & sounds like a quality pie as is. An astute observation, it was almost a hybrid but I will fill you in with what I find in the future! 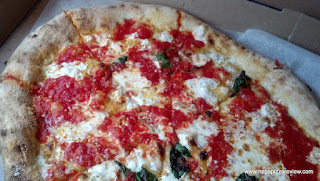 PQ I always appreciate your comments especially on this pizza with which you have much more experience with. This pizza is very important because its so rare in NEPA. It was definitely worth the calories. 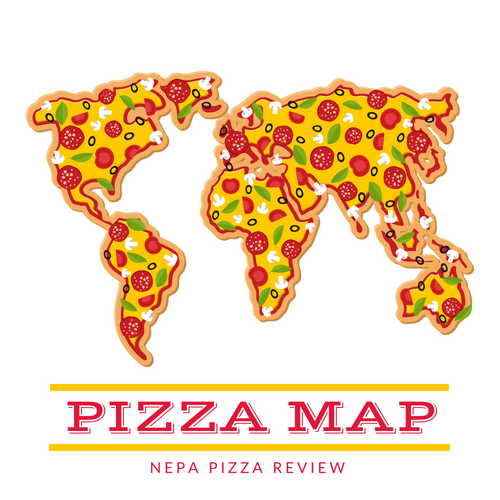 Readers, check out CCPG's blog, he has a vast and detailed collection of reviews on high end pizzas!